Play various classic Spectrum games in 3D. 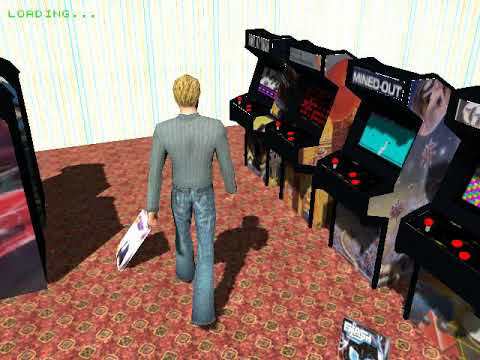 Just walk into the arcade to play. No 10p's required. Current state (as of 2nd Jan 2019): Most games work and you can move around, but none are complete (and some are barely started). W, A, S, D to move, and mouse to look around. Space to brake if in a car, or jump when walking around. X to return to the arcade. All games copyrights owned by their respective owners. This game uses JMonkeyEngine for the 3D. For all other credits, please see the credits.txt in the relevant asset's folder. This game is licenced under MIT.